Here at C.S. Kids, we know how important personal information is and we are 100% committed to protecting the privacy and security of you and your information. We don’t want to take your security lightly and will do everything we can to make sure you feel happy and safe using our services. In some instances, we may combine Other Information with Personal Information, such as deriving geographical location from your IP address and combining behavioural data about your usage of our website with your name. If we combine Other Information with Personal Information, we will treat the combined information as Personal Information. We may collect statistics about how you use our website. We do not and will never sell or rent any of your personal data to any third party. We respect and value your personal information and will only share it with people who need to know to improve your customer experience but it will never be sold. We would love to keep you up to date with everything that is happening at C.S. Kids such as new products, events or offers. When you make a purchase, along with your purchase information, we’ll send you marketing messages by email. All of our email chains are sent through MailChimp. Your personal information is stored securely by MailChimp. You can unsubscribe or change your preferences at any time. We may change this page from time to time to reflect how we are processing your data. If we make significant changes, we will make that clear on the C.S. Kids website or other C.S. 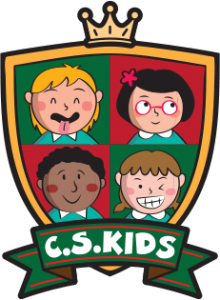 Kids services or by some other means of contact such as email so that you are able to review the changes before you continue to use C.S. Kids.